British Columbia restaurants, pubs, cafes - BC travel guide. Looking for a place to eat in British Columbia, Canada. From fine dining or chineese food buffet to fast food or cafe. How about a local pub to watch the game? 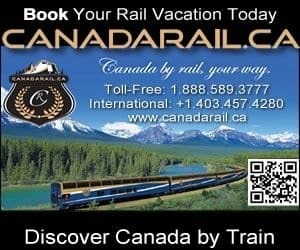 View them below and plan to get stuffed on eh Canada Travel today. Have you always thought about getting up and just singing a song, sharing a story, reading a poem, belting out some opera? Playing the guitar, singing acapella? Put on a short solo play? Come on down to Kekuli Cafe! Share you culture, your song, your journey! We deliver! Catering available! Coffee boxes to go for 15 people for $20. Coffee, tea, bagel melts, sandwiches, soup etc… We also offer Keto! Try to schedule a stop at the Crystal Gardens for their delicious buffet - be it lunch or dinner. Discover Delicious Meals & Desserts at Dairy Queen. Artisan Sandwiches. Orange Julius Smoothies. Made to Order. Burgers, Treats & More. Fan Food not Fast Food. Types: Blizzard Treats, Sundaes, Brownie Treats, Cones, Ice Cream Cakes. Small Town Catering with City Flare! Catering for all your needs from back yard BBQ, Party trays right up to a formal sit-down dinner for 500. Comfort food made from scratch…Be sure to try one of our Daily Buffets! Japanese restaurant offering sushi and hot dishes. Our banquet can hold up to 30 people and is available for booking. Call and preorder and we can have it ready for you to enjoy in when you reach our restaurant. We also offer take out. Awesome Food and Very Friendly Atmosphere! Make a reservation and receive 5 percent off! Excellent food, quick and friendly service! Pizza is very tasty!! Calzones and pasta, too! Fresh baking daily!